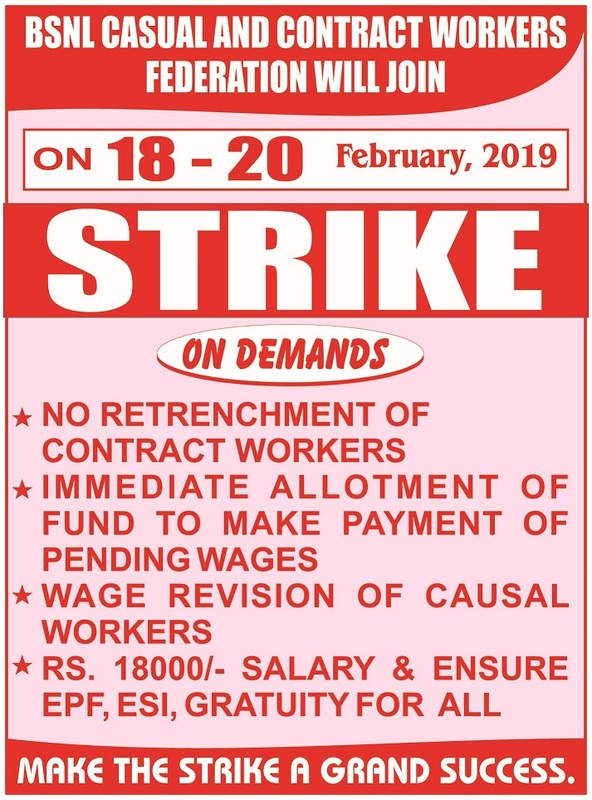 The one lakh and more casual and contract workers engaged in BSNL will be going on three days strike from 18th February to 20th February 2019 on the above demands. BSNL has been completely negating these demands. These are issues on which several struggles have been conducted. Sustained struggles have become necessary to achieve the demands.